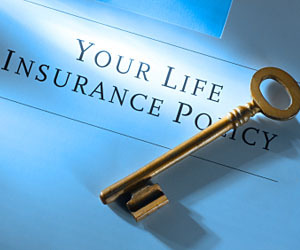 What is term life insurance ? How convertibles and guaranteed renewals work ? Starting a family comes with questions you never had to consider before, such as the financial well being of your loved ones following your death. Life insurance will provide for their needs later, but right now you just can’t afford permanent long term insurance, whole, universal or variable life. Like many first time life insurance buyers you’ve decided term life insurance is your best bet. You suspect that making the wrong choice now could cost you down the road, you’d be right to think so. Unlike permanent insurance, term insurance covers you for a specific period of time or term, 1 year, 5 years, 10 years, and so on. What happens at the end of those terms makes all the difference in the world, especially if your life circumstances change dramatically. Let’s start with a fundamental : the two primary types of term life are renewable and convertible, singly or in combination. “Renewability” allows a policy holder to renew or extend their life insurance term policy for additional terms without medical examination. This is important to shoppers because it enables a policy holder to continue their low cost term life insurance as they get older or find themselves in poorer health. Although they may eventually be outside a company’s criteria for underwriting policies, the insurer is required to renew the policy because it is guaranteed. Most term policies do not allow renewal after age 80. For example, say you’re a healthy, non smoking 25 year old. You can buy a 10 year renewable term policy with a benefit of $100,000 for about $120 per year. In 10 years you can renew that policy for another 10 years regardless of your health. When it comes time to renew your medical insurance terms policy, your health does matter. While you are guaranteed the right to renew your new premium, the term life insurance rates you pay annually for the same amount of coverage is based on your current health. By thirty five you may have gained 40 pounds and started smoking, so, based on your current age and health, your term insurance rates may double for the same coverage. It’s also possible you won’t be offered another renewable policy, which could leave you uninsured 10 years down the road, when your need will probably be greater. “Convertibility” simply means that the short term health insurance policy can be exchanged for permanent life insurance of equal value if the policy holder decides he wants a change. Typically this exchange requires neither underwriting nor a medical exam. This means that if you had a $50,000 convertible term policy, you could convert it into a $50,000 cash value policy without giving a health history. This conversion would, however, increase premiums. Usually policy holders are permitted to convert term policies only until they turn 65, and the period during which conversion is possible is shorter than the period of coverage. This means you can convert your term policy into another type of permanent insurance, such as whole or universal life, if your level of health begins to decline. This “hybrid” nature of convertible policies proves especially important in this situation, because once in ill health, a shopper has a much more difficult and costly time securing coverage. It is important to understand that your premium’s new rate will be based on your age, health and other factors at the time of conversion. You should also be mindful that the cost of permanent insurance is greater than the term life insurance quotes, even if all other factors are the same. Some convertible term policies are a hybrid that offer the choice of either renewing for an additional term or converting to a permanent policy. Health and age factors apply the same way they do with renewable or convertible policies when it comes to new terms or policies. The options are often available on an annual basis regardless of the length of the initial term. As with all things, the increased options often carry a higher cost. Insurance carriers, like car dealers, charge by the option. The more options, the higher the premium cost. Which is why understanding what you expect from your insurance down the road is so important in determining which type of policy is right for you. Shopping your term life insurance quote around once you are covered is not always a good idea. Some term policies have a period of contestability during which they will not pay your beneficiaries your coverage amount. A contestability period is a period of time that the insurer reserves the right to question the validity of a claim, sometimes as much as 2 or 3 years for new policies. Contestability clauses are used in some cases to give a false impression of a lower premium cost for equal coverage. Insurance companies don’t assess your health by asking you how you feel. They use complicated actuarial information to make decisions about your health. Your age, weight, smoking and even your occupation may be considered in determining your new rate or coverage limitations with a new insurer. This insurer may even require blood tests or medical exams before issuing a new policy. Changing insurance companies too often can be like a game of telephone, someone starts out whispering a simple sentence to someone who repeats it to the next person and then on to someone else until in the end the message is all confused. Switching providers increases the likelihood that, with each change, you lose an important piece of coverage until you wind up with something completely different than what you started out with or what you really need. – are my needs likely to change over time ? Why ? The answers to these questions let you know if you will benefit from coverage that can change, and what kinds of change in coverage will help you. Every change in policy is helpful to someone, however, the exact opposite also holds true. – do I have needs that are unchanging and important to meet ? For example, a shopper might have a profoundly disabled child or other relative who will always need care. If high payout will always be needed no matter what, it is possible that renewal term policies which demand a higher and higher premium over time are not advisable. – what are the “fine print” rules of each policy I am considering ? Do I know exactly how many years I would have to convert each policy I am looking at ? Do I know the rules for renewal and the costs ? No one can make good decisions without all of the facts. – am I willing and able to “shop around” for new policies in the future ? If a customer cannot or will not do the work shopping around for new policies and affordable term life insurance as needed, a more certain form of insurance might be the best choice. Making a decision about which type of term insurance is right for you is a personal choice, you can use a term life insurance calculator online, there are no all encompassing solutions. A good rule of thumb is to make a list of what you want the insurance to do, such as pay for college or pay off a mortgage, and then a list of what you think your circumstances will be in the future, use those answers to help determine which type of term policy best answers your needs. Being confused by all the different choices is normal, even inevitable, especially when you consider what is at stake. Everyone has unique needs and comfort levels, so when a friend tells you they have great term insurance and that you should get the same thing, remember, your ultimate decision will be based on your circumstance and not theirs.